In today’s fast world, you need to be quick. There may come a situation when you have to send an email or edit a document, or search for something on the web. What if you were not at home that time? Your desktop can not do it for you. A laptop is your answer to all these questions. In this article, I will talk to you about some of the best laptops under 40000. You will know everything you need to about them once you finish this post. So, read along to find out more. When buying the best laptop under 40000, you need to consider a few things. For any laptop, some of the most important things are the processor, RAM, and GPU availability. Let us see what options you have under the 40K price range. In this price range, do not settle for processors such as Celeron. So, You will easily get Core i3 5th or 6th Gen processors in this price range. Also, You can find laptops with Core i5 processors in this price range. You just need to look out for the right product according to your needs. You can easily find laptops with 4 GB or 8 GB RAM in this price range. In the case of DDR3 or DDR4, always go with DDR4 if you can. It is faster and lets you work with a lot more ease. However, the DDR3 version also gets your work done in a decent way. GPU availability is still not very satisfying in this price range. You can find 2 GB of graphics in some of the laptops. You can play some games in a low resolution, but higher end games are still a long shot in this price range. List of Best Laptops Under 40000 Rs. 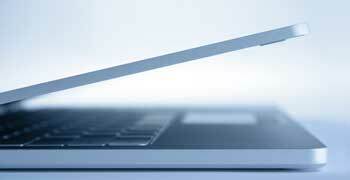 The complete list of the best laptops under 40000 Rs. is given below. HP has a great laptop under their AM081TU model. HP 14-AM081TU is the best laptop under 40000 Rs. and its my first choice. The laptop is extremely lightweight, so it is easy to carry around. The Core i5 6th Gen makes up for a fast processor. The battery backup is really good, with all the features. The SuperMulti DVD burner adds to its features. However, the 4 GB DDR3 RAM is non-expandable. This can be a turn off for some users. There is no dedicated graphics engine either. So, if you are a serious gamer or a video editor by profession, you might want to avoid this laptop. Another good option to consider in this price range is the X541UV-Xo029D from Asus, if you are fond of the brand. The brand is a trusted one and they have lived up to their reputation with this laptop. The memory storage of 1 TB makes for a more than enough space to store all your data. The sound quality is amazing. The Core i5 6th Gen processor handles multi-tasking pretty easily. However, it has no pre-installed Windows operating system. This is a downside as you need to install it on your own. Also, the RAM could have been higher. Although you can add it anytime later. Lenovo is one of the best brands of laptops and their G50-80 has lived up to their reputation. It has great features, multi-tasking is quite easy on this laptop. It has a 8 GB DDR3 RAM, which is sufficient enough to do tasks with superior speed. The battery backup is superb, even at this price range. The Core i3 5th Gen serves the need for a fast processor. It comes with a pre-loaded Windows operating system, which is another plus. There is no dedicated GPU, so video editors might want to avoid it. The webcam performance is really poor.It can not capture good quality videos. Dell has an amazing laptop in this price range, the Dell Vostro 3468. It is the only laptop in the article that comes with a pre-loaded MS Office. The Core i3 7th Gen is a fast processor that handles multitasking with ease. It comes with a pre-installed Windows 10 operating system. The memory storage of 1 TB lets you keep all your videos, document, pictures, songs, movies, and data at one place. However, there are a few downsides. The RAM in this laptop could have been more. The screen is 14 inches, which some users can find a problem. Dell has another great option in the under 40K price range, the Inspiron 3567. If you are a heavy user and a serious gamer, this laptop is for you. The 1 TB hard disk drive lets you keep all your data at one place. The battery backup is good, even with all the heavy multitasking. The 4 GB DDR4 RAM gives excellent speed to the laptop. However, there is no dedicated GPU, that is a big turn off for video editors. No pre-installed Windows operating system is available as well. The user needs to shed more money and install it on their own responsibility. Lenovo has another decent laptop in this price range, the Ideapad 100 80QQ01BBIH. It is a laptop worth checking out as well. The memory storage of 1 TB is huge. You can keep all your data sorted. The Core i5 5th Gen processor is a good one in order to do tasks with ease. The device comes with a pre-installed Windows 10 operating system as well. So, you do not need to worry about shedding more money to install the operating system. There are a few downsides as well. The sound quality is very poor on this laptop. The battery backup is just about average. You can not work on it for long hours. The Webcam resolution is also very bad, making it unable to capture good quality videos. Another laptop to consider under the 40K price range is the HP 15-ay554tu. This model comes with a Core i5 6th Gen processor. It gives you amazing speed to carry out tasks. It has a full HD display with 1920X1080 pixels. The 4 GB DDR4 RAM adds to its features. However, it does not have a dedicated GPU. This is a turn off if you want to edit videos on your laptop. It is really heavy, with a weight of 3 kgs. It is not easy to carry around with you for long hours. One of the biggest players in the laptop market Lenovo has brought a great laptop in the under 40000 price range. Thr Ideapad 300 is a laptop worth checking out. It comes with a Core i5 6th Gen processor that makes works smoother. Battery backup up to 4 hours gives you long uninterrupted hours to work. The AMD 2 GB Graphics adds to its features. However, it is a bit heavy with 2.3 kgs of weight. The keyboard quality is average. HP has another good choice that you can buy, the ay004tx. It comes with a Core i3 5th Gen processor. It has a robust configuration. The Core i3 5th Gen processor is good enough to carry out tasks. The RAM is expandable, from which you can benefit. It has a 2 GB graphics card. The webcam quality is quite poor. It is quite heavy, so not easy to carry around with you. You can not capture good videos using it. It is only available in one color. Another good option from HP is the AY513TX. The brand is a trusted one and it has not disappointed this time as well. It’s a another best laptop under 40000 from HP brands. The Core i3 6th Gen processor gives you enough speed to finish off tasks. The 8 GB DDR4 RAM adds to that speed. The DDR4 version is the latest version of RAM that gives you better speed. 2 GB graphics card is another good feature to add. This laptop is pretty heavyweight, with 2.96 kgs of weight. It is difficult to carry around with you. Speaker quality is also average. To help all of you, even more, I have selected some of the laptops from the list under the ‘Editor’s Choice’ category. I have kept in mind several needs when compiling this list. If you want speed and efficiency in finishing off tasks, go for the HP 15-ay554tu or Dell Inspiron 15-3567. The Core i5 6th and 7th Gen(respectively) processor and the 8 GB DDR4 RAM make multitasking smoother than ever! If you want good battery backup, go for the Lenovo Ideapad 100 or the HP 14-AM081TU. With these two laptops, you can work for long hours without them running out. So, these are the best laptops under 40000 price range. I hope this article is helps you to find the best laptop under 40000. Now, please share this post with your friends if they want to buy a new laptop.